In 2019 we celebrate 90 years of MSO free concerts! To commemorate this landmark birthday, we’d love to hear your stories and see your photos from across the last 90 years. 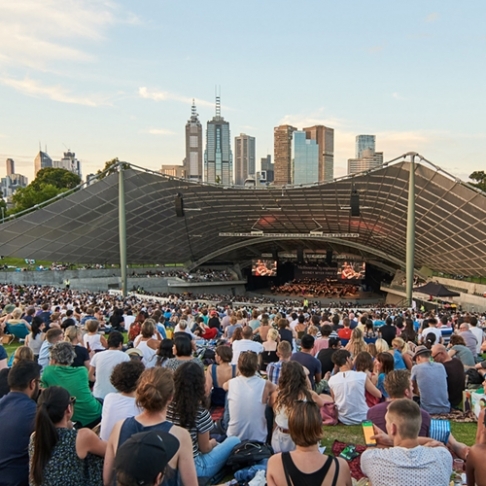 Keep up to date with Sidney Myer Free Concert Series news, receive performance updates and important venue information by signing up here! The MSO is excited to welcome one of our education partners, Melbourne Youth Orchestras, who will perform from 6pm. Arrive early! Please note, the following pieces, as previously included in the MSO Season 2019 brochure, will not be performed: Berlioz’s Le corsire, Satie/Debussy’s Gymnopédie and Debussy’s Prélude à l’après-midi d’un faune. Christopher Lawrence (presenter) will also not appear. Please note, Dvořák’s Carnival Overture will not be performed in this concert as previously advertised.